On my recent quest to take my skin care to the next level, I started having regular facials at a salon I had been recommended by a friend. My therapist at the salon has been in the skincare industry for years and years and I guess I always naively felt that I knew it all, having studied Health & Skincare. Because of my background knowledge I can read my skin pretty well and know when it is lacking in certain things and how to help whatever skin crisis may arise. In doing all of my intense at-home skincare routines, I didn’t realise one major part I was totally missing; and this was that I was unsettling my skins natural barrier which is vital to keep intact and in good health. This brings me to my review: The kind ladies at Dermastore offered to send me one of their products to test and the Skinceuticals Retexturing Activator Serum could not have spoken to my skin needs more! 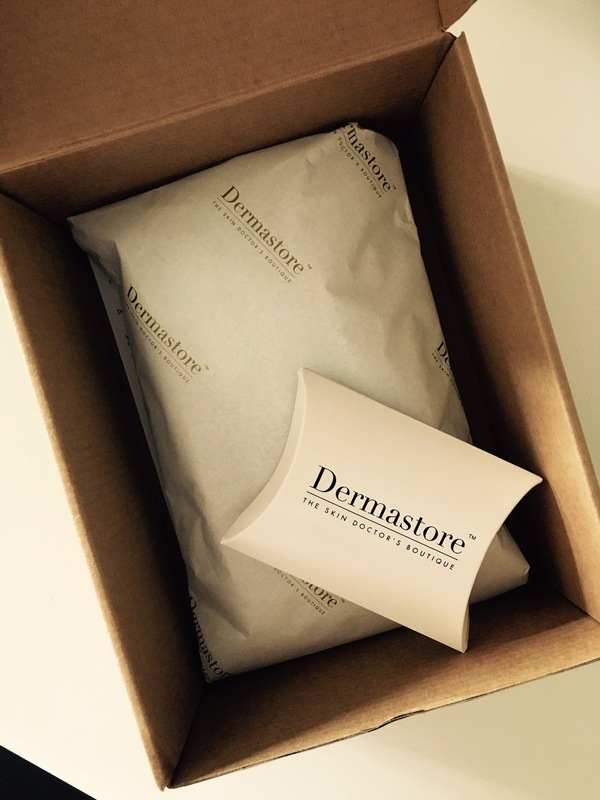 Dermastore is an online store that offers a curated, wide-range of physician strength skincare. Each product is tried and tested and arrives with usage advice from their founder, Dr Webster who is a Dermatologist. I loved this touch – you can see my product below – it was so beautifully packaged and included a personalised card with advice and product details – so I knew exactly how to use the product and what it was all about! 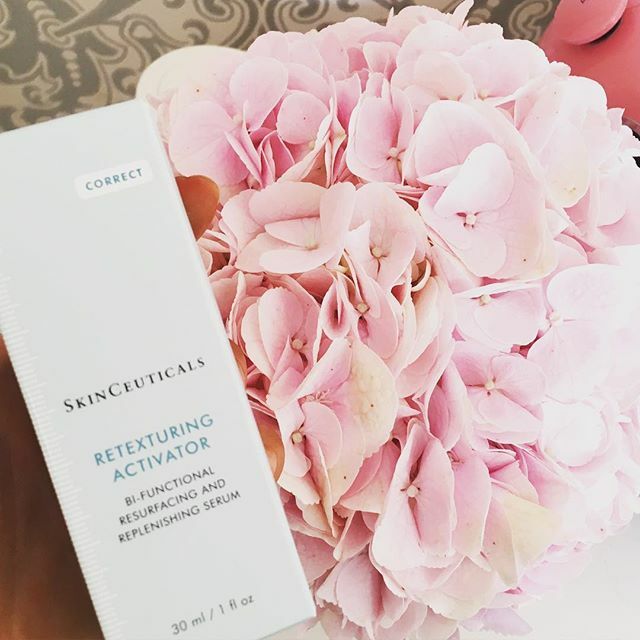 Now the reason I mentioned earlier that the Skinceuticals Retexturing Activator spoke to my skin needs is that this serum is replenishing and resurfacing at the same time – so rids the skin of unwanted dead skin cells whilst still offering that much-needed protection and TLC the skin often loses when we carelessly slough away dead skin cells with normal exfoliators. After one week of daily use I noticed that my skins texture looked finer, particularly around my chin and outer cheek area as this is where my pores are slightly enlarged. After the second week I was noticing how much more hydrated my skin felt – even straight after cleansing. I get home, quickly remove my make-up and rush off to heated yoga after work each day and normally my skin feels super tight before this. I never apply a product as after a second of entering the steamy room I am sweating it off and I like letting my skin breathe. Anyway, my point is that having used this for the past few weeks, my skin definitely felt less tight in its natural state! Win! Hydration and texture – the main noticeable change for me was definitely the texture – my skin felt and looked more even as the Glycolic Acid (20%) had really helped with removing any redness from previous pimples as well as any slight sun damage. This is not going to take away bad acne scarring, however, old blemish marks will definitely be removed faster with the use of the serum. Overall the texture was softer and it felt as if my products were absorbing into the skin much better. I couldn’t noticeably tell that the skin’s barrier had improved as, to be honest, I don’t know how to see that but I like the thought that this was being repaired. Hydration wise this most-definitely addressed this concern, but I have still been including my usual Sisley Black Rose facial oil for added 'oomf' – I combine this with a thin layer of a hydrating gel mask to keep on through the night (twice a week). 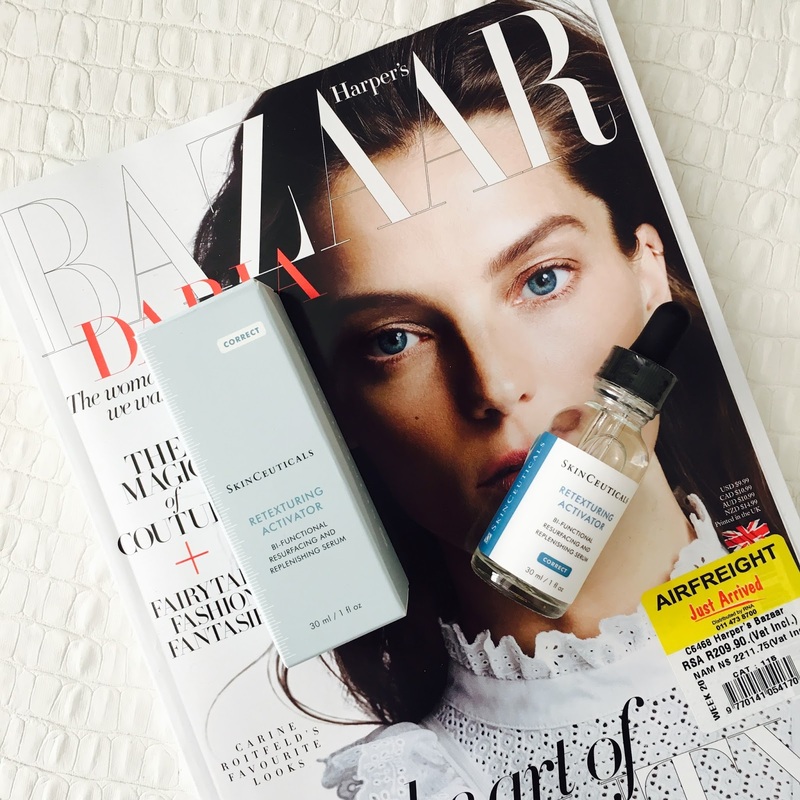 This older routine of mine, combined with the use of the Skinceauticals serum proved to be magic as my skin was able to absorb better and break outs have been kept at bay, for now! I can only assume this is thanks to the serum preventing build up and keeping my skin more balanced. I have been using this as per the instructions from my Dermastore note which was to be used after cleansing in the AM and PM, 4 to 6 drops on the face and neck, followed with usual routine and to be specially good about Spf. Overall it is a very results driven product which I think is vital to include in your routine if you want to see change and improvement. If this product doesn't sound like it addresses your concerns then have a look at their website as they do have professionals you can speak to and in-depth info on very results-focused products. Plus you get some free samples to test, I was so impressed! Tor, what salon is it that you mention at the beginning of the post? Looking for somewhere good. Hi Lize, It's a salon in Durbanville called Utopia. I see Marelize. She is brilliant. It's a mission of a drive but worth it. R600 for a 1.5 her QMS facial!!! Didn't know about Dermastore - thnx for tips! I know you're Cape Town-based but have you heard of any stand out salons in Johannesburg? Looking for a good one. Thanks! I have just put up a review about a salon in Parkmore called Pure Esthetics, hope that helps! And for what type of treatments as for nails I like a place called Polish. You didn't use this product. You're lying. There is no glycolic acid in it. It states It's LIKE a daily 20 percent glycolic acid peel. There is sulfonic acid in it. NOT glycolic acid! I don't think she is lying about using it, I do think she misunderstood the available information from skinceuticals on the product and it's ingredients. *"This replenishing serum is shown to have the resurfacing power of a daily 20% glycolic treatment." From the skinceuticals website.